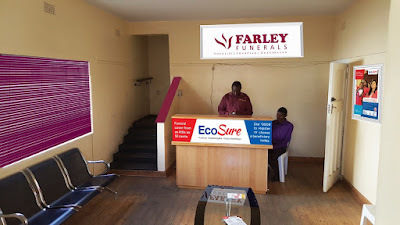 A Bulawayo man’s body is stuck in mortuary due to family squabbles, with his surviving spouse and daughter demanding cremation while other members are opposed saying it is alien to their culture. The deceased, Mr Amos Nkomo, died on December 31 and the body is still stuck at Farley Funeral Services parlour in Bulawayo. The surviving spouse, Mrs Margaret Nkomo and her daughter Melisa, both of Newton West suburb, want the remains of the deceased to be cremated while other family members led by Mr Nkomo’s sister, Mrs Eva Zulu (nee Nkomo) are opposed to cremation arguing that the practice is foreign to their culture. The month long dispute has since spilled into the courts. Mrs Zulu, through her lawyers Coghlan and Welsh Legal Practitioners, filed an urgent chamber application at the Bulawayo High Court citing Mrs Nkomo, her daughter Melisa and Farley Funeral Services as respondents. She wants an interim order interdicting the respondents from cremating her brother’s remains pending the finalisation of the matter. In her founding affidavit, Mrs Zulu said the broader family was opposed to the cremation of Mr Nkomo’s remains, arguing that it is against their cultural beliefs. “I am a blood sister of the late Amos Nkomo who died intestate at Bulawayo on December 31, 2018. I have locus standi and a clear right to approach this Honourable Court on behalf of our broader family as we are equally grieving the death of our brother. The first and second respondents (Mrs Nkomo and Melisa) intend to cremate the deceased, an act we as a family consider wrong and alien to our cultural beliefs,” she said. Mrs Zulu said they have since the death of Mr Nkomo been locked in a protracted dispute with Mrs Nkomo and Melisa for burial rights resulting in accumulation of mortuary storage fees. “The remains of the deceased have been kept at the mortuary for more than a month as both parties battle for burial rights. The broader family wants the body buried whereas the first and second respondents want it cremated as per alleged verbal instructions given by the deceased during his lifetime, which we are not aware of and not substantiated. When the deceased was bedridden we visited him in hospital several times and he never told us of such a wish,” she said. Mrs Zulu said efforts to reach a compromise failed to yield positive results. “We have no other remedy and the first and second respondents should not hold themselves as the only ones who have suffered a loss. “The family has also lost a brother and no one stand to suffer any prejudice if the remains are buried,” she said.